Topline: The sporty Lexus RC F gets refreshed with improved performance, a facelift, and a hot Track Edition. What’s New: A little facelift has gone a long way for the Lexus RC F. It starts with a more modern exterior that carries over a pronounced spindle grille and a few subtle revisions here and there making for a not-so-subtle aesthetic. It continues to be one of the edgier-looking luxury coupes on the market and its aggressive look is backed up by real performance. Some slight tweaks to the naturally aspirated 5.0-liter V-8 powering the RC F like revised intake routing netted the engine slight boosts in power and torque. Power is up five hp to 472 and it’s good for an extra six pound-feet of torque bringing that number to 395. It’s not much, but we’ll take it. Perhaps more importantly than the engine upgrades is lightness being added in the form of some parts getting smaller, some getting hollowed out, and more aluminum being used in suspension components. Speaking of suspension, the RC F gets stiffer bushings for the rear suspension arms and steering rack mounts. Electronic launch control is now standard on the RC F which is a nice perk that makes it easy to go fast and push that V-8 to its limits. Another stellar feature for going fast is a set of Michelin Pilot Sport 4S tires designed specifically for the RC F.
This is all great news, but the most exciting part of the RC F’s update is the all-new Track Edition. This even higher-performance variant utilizes a unique carbon fiber front splitter that not only adds lightness but also provides more downforce in front. The active spoiler of the normal RC F is replaced with a fixed carbon fiber rear wing on the Track Edition which also makes for an additional 58 lbs of downforce out back. There are other carbon fiber bits all over the car like the hood, the roof, a bumper reinforcement, and a partition behind the rear seats. Lexus boasts that many of these carbon fiber components are made on the same line that supplied the LFA supercar. Weight reduction on the Track Edition is further supplemented by a titanium exhaust. 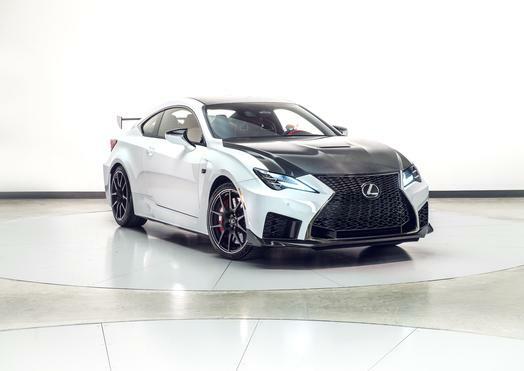 There are no mechanical upgrades to the engine in the RC F Track Edition, but obviously, it has a better power-to-weight ratio than the standard car. It's also got better stopping power thanks to carbon ceramic Brembo brake rotors surrounded by lightweight, 19-inch BBS wheels. 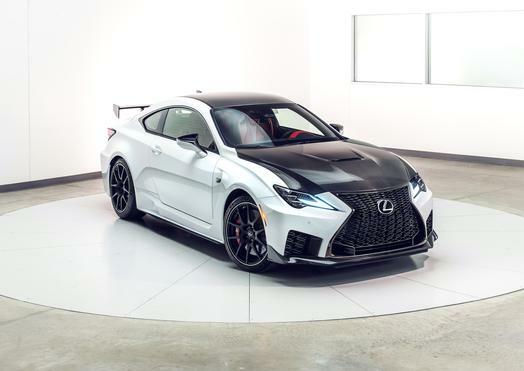 Pricing is unknown as of this writing, but the 2020 Lexus RC F and RC F Track Edition begin production in the second quarter of 2019. The starting MSRP of the 2019 RC F is $64,750 so we can expect pricing for the 2020 model to start somewhere in that neighborhood, but . Quotable: “The new RCF and the Track Edition, in particular, benefit from constant development since their original launch. With the latest improvements, these models help further distinguish the F brand by offering fast, durable, highly capable performance cars that rely on a range of technologies to help make their performance accessible to drivers of all skill levels,” said Koji Sato, Executive Vice President, Lexus International in a statement. 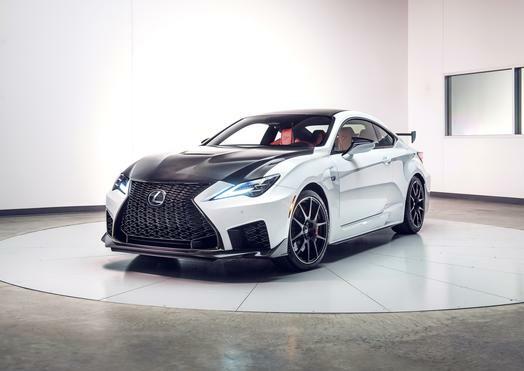 What You Need to Know: Pricing is unannounced as of this writing, but the 2020 Lexus RC F and RC F Track Edition begin production in the second quarter of 2019. The starting MSRP of the outgoing 2019 RC F is $64,750 so we can expect pricing for the 2020 model to start somewhere in that neighborhood, but it’s hard to predict the price tag of the Track Edition. 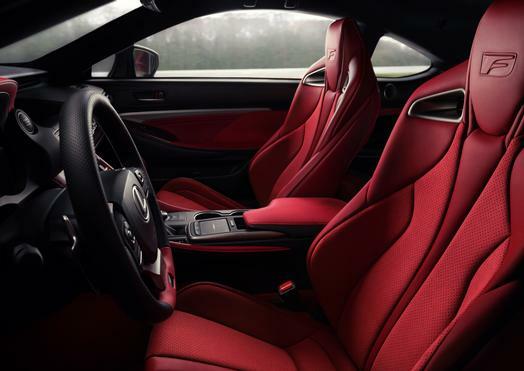 Its specs might not blow you away, but the facelift for the 2020 Lexus RC F looks like it will be a handful of small things adding up to a big improvement in driving experience. Lexus' high-performance coupe is set to get a significant upgrade with plenty of goodies to make up for lost time.